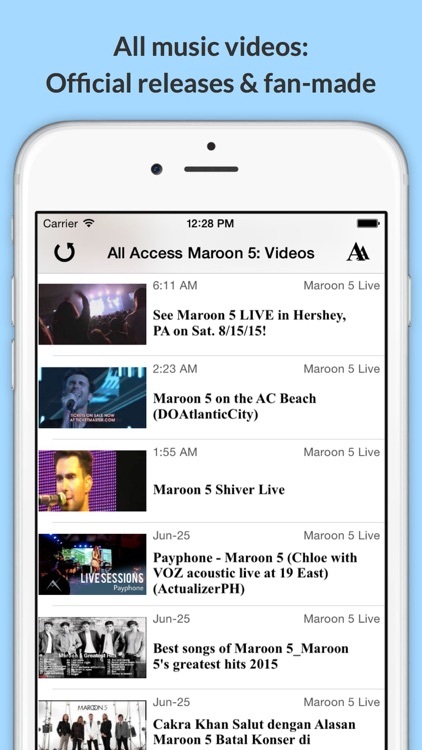 All Access: Maroon 5 Edition - Music, Videos, Social, Photos, News & More! by Valiant Rock, Inc.
All Access: Maroon 5 Edition - Music, Videos, Social, Photos, News & More! A Must-Have for Maroon 5 fans: the latest VIDEOS, MUSIC, SOCIAL, PHOTOS & more! 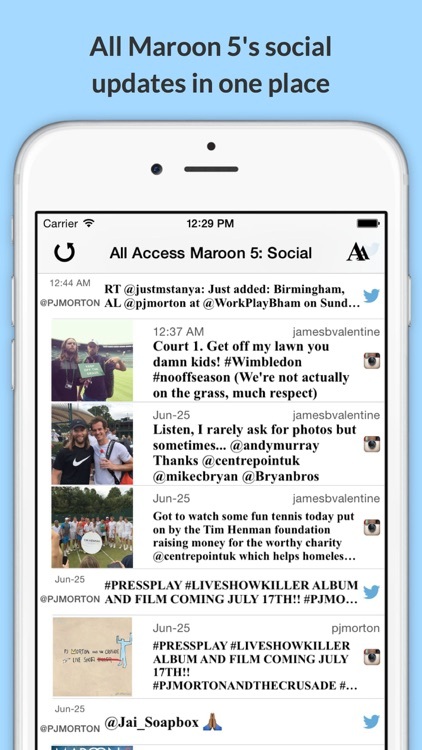 - All Maroon 5 members' SOCIAL accounts in one place. - Latest PHOTOS from numerous fan sites & media. 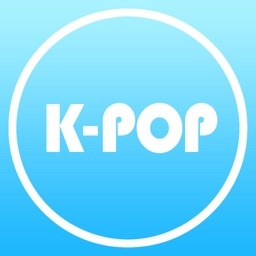 - Listen to MUSIC & watch MVs. 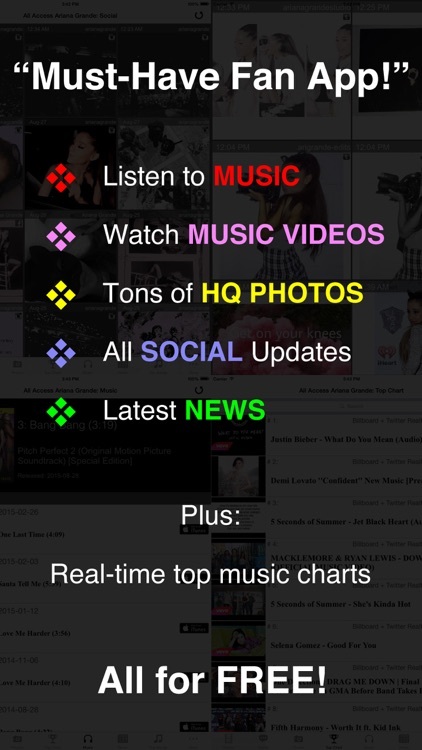 - Pop Radios, news and much more! 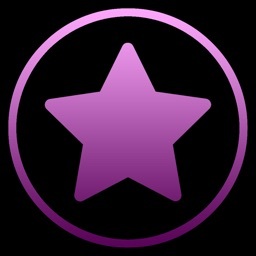 Download It Now, and Get the Latest on Maroon 5! * If you see great sources we are missing, please email us. We will include in the next update. ** Please check out other 'All Access' series apps for various artists. *** This app or our company, Valiant Rock, Inc., is not affiliated with the artist or the management company.